If you ever needed an example as to why Black people can't stand Supreme Court justice Clarence Thomas and why we continually compare him to Uncle Ruckus from the Boondocks, then look no further than his concurring opinion on Fisher v. University of Texas at Austin. Thomas' used his opinion to rail against affirmative action policies while comparing the University of Texas at Austin justifications to those of Jim Crow-era segregationists. Thomas basically says in his arguments that there are no educational benefits from a college having a diverse campus. 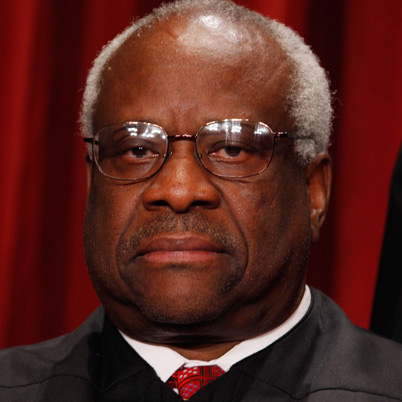 It's as though Thomas is going out of his way to tear down the very institution that played a big part in his being a Supreme Court justice. To think that this is the man that is sitting in the same seat that was held by Thurgood Marshall is so disheartening and disgusting.